INDIANAPOLIS – Grace’s softball team was not able to keep up with No. 5 Marian on Tuesday, losing 9-0 and 2-0 on the road. 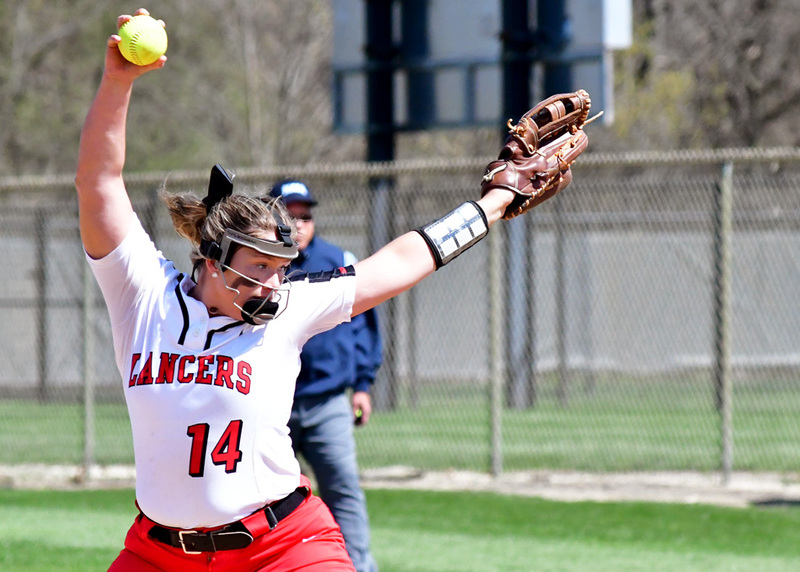 The Lady Lancers (4-10, 0-2 Crossroads League) could only muster one hit in the opener as the Knights (14-0, 4-0 CL) maintained their perfect record. Marian jumped out to a 4-0 lead after the first inning and increased their tally with a five-run fourth inning. Bethany Gardner was the sole Lady Lancer to record a hit in the loss. Dori Knight pitched a clean inning of relief from the mound. The second game was highly competitive. Hannah Middlebrooks pitched a gem, allowing just two runs in a complete game to keep Grace within striking distance. In the top of the first, Grace loaded the bases with two outs thanks to two walks and a hit by Taylor Asher. But the Lady Lancers were unable to produce a run-scoring hit. Marian hit a leadoff home run in the bottom half of the inning inning to strike first. In the top of the fifth, Grace moved Gardner to second base after a single and a sacrifice bunt, but again Grace failed to capitalize. The Knights countered with a run in the bottom of the inning to double their lead. In Grace’s final at-bats in the top of the seventh, Grace threatened yet again. Olivia Scarbrough was hit by a pitch and reached third on a single by Asher. Asher stole second to make the tying run in scoring position with one out. But Grace came up empty on its final two at-bats to lose 2-0. Jessica Kaurich hit 2-for-3, and Asher was also 2-for-3 with a steal. Gardner and Britney Young also had hits for Grace. The Lady Lancers travel to another ranked team on Wednesday, playing at No. 10 Indiana Wesleyan at 4 p.m.